Alejandra Jacoby hails from Santiago, Chile where her love of arts, crafts and design began. It’s no surprise that she is artistically inclined – as she comes from a highly artistic family : her grandmothers and her mother were weavers, designers and painters in Chile. At a young age Alejandra began by sewing dresses for her dolls and creating various costume designs. She then fell in love with and realized crotchet was what she really wanted to pursue. Her inspiration comes from Latin American artists, with a love and admiration for bright, vivid colors – as seen in Alejandra‘s choices and pieces. Alejandra is committed to using natural materials that are environmentally friendly with her jewelry and other accessories. She currently resides in Ireland, where she creates her lovely pieces and is an Art Teacher. 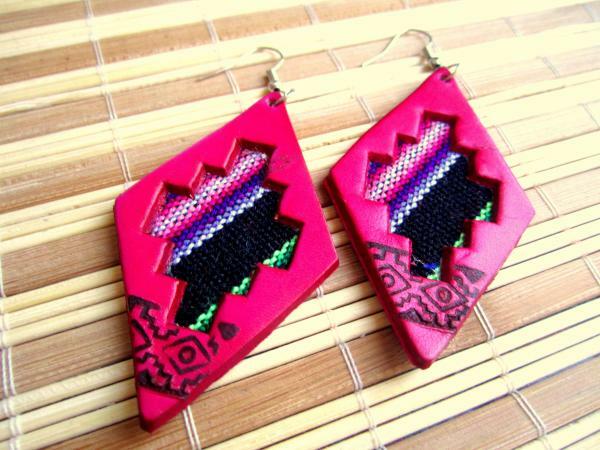 We wanted to feature these specific style of her earrings – however she has a plethora of crocheted jewelry and accessories as well! One thing we love particularly is the modern feel that does not overshadow the traditional and ethnic vibe with Alejandra‘s use of textiles, patterning and technique. Alejandra’s textiles are reminiscent of traditional Andean, Mapuche and Huitral patterning in pre-colonized Chile. Yes, it may be summer, but I definitely feel the cold front from the past few days – so I wanted to give you a sneak peak of Alejandra‘s fantastic crocheted bracelets, which are beautiful all year round and a great piece for the Fall and Winter months! All images courtesy of Alejandra Jacoby. WHAT! 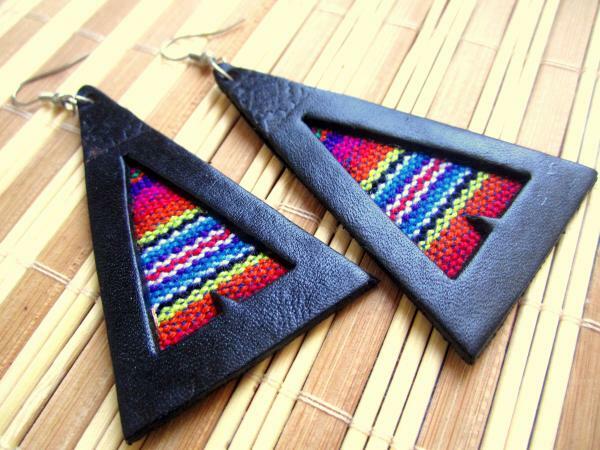 I need to see millions of women sporting these Alejandra Jacoby earrings and crocheted bracelets ASAP! ACE F ing SAP! I agree! Loving the earrings! Alejandra Jacoby | marianna m.